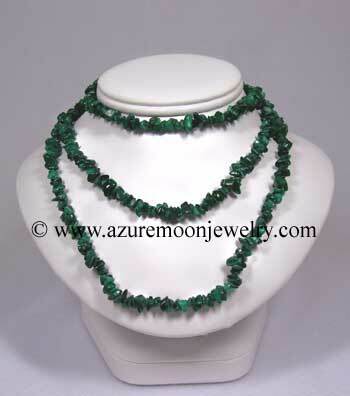 Drape yourself with the power of healing gemstones from the earth with this 36 inch long, endless single strand necklace of genuine Malachite chips. Malachite is a fourth (heart) chakra gemstone. Metaphysical Properties: Malachite is known as the "stone of transformation". 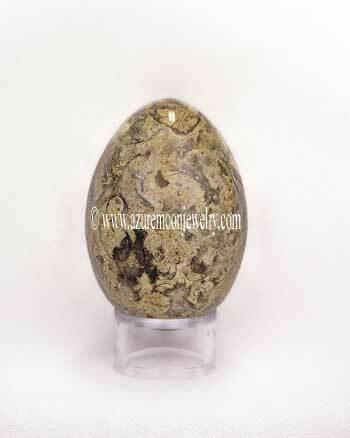 It helps in the clearing and activation of all the chakras, and represents fidelity in love and friendship, loyalty in partnerships and business transactions. Click here to learn more about the lore and metaphysical properties of Malachite and other popular gemstones.